Regular readers of this blog might recall that I reviewed Kjell Ola Dahl’s Faithless around this time last year (almost to the day – I should have gone earlier on the blog tour!). The Ice Swimmer is the sixth book in his Oslo Detective series, again featuring our old friends Gunnarstranda and Frølich. But the case here really belongs to Lena Stigersand. A body is pulled out of the freezing waters of Oslo Harbour in the run-up to Christmas. But was it an accident, or was there something more sinister afoot? 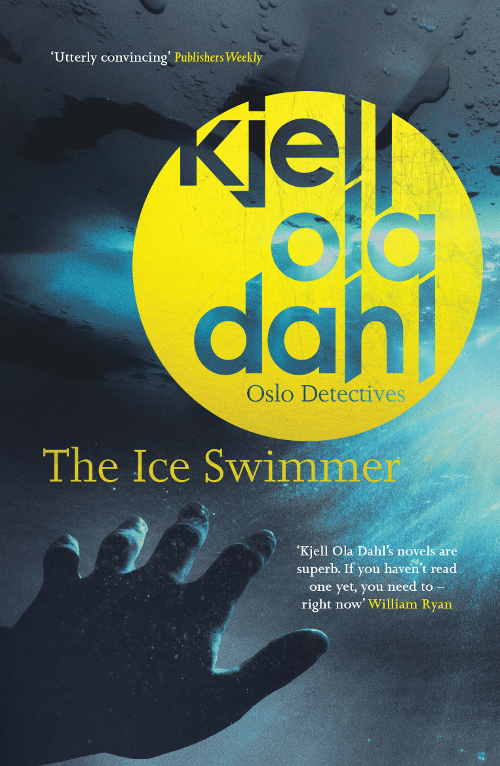 Kjell Ola Dahl has delivered another classic slice of Nordic Noir with The Ice Swimmer. It’s dark and atmospheric, with a real sense of menace building up as the story unfolds. It was great to see Gunnarstranda and Frølich back in action, though they do take a back seat to Lena this time round. It’s her case and her dogged determination to see it through, often pushing close to, if not over, the limits her bosses set. I’d loved to have seen a little more of Frølich, but we can’t have everything! Don Bartlett is on translation duties again, and the writing is once more punchy, with a brevity and clarity that’s instantly recongisable. Kjell Ola Dahl has a way with short, snappy sentences which took me a while to get into the style and rhythm of (as it did with Faithless), but as with the previous book, once the story really gets going, you’re hooked. I loved the character of Lena. She’s complex and human and feels very real. I know that might sound like an odd thing to say – aren’t all characters supposed to be real? But I felt that she had something extra, an added depth to her character that I really enjoyed. The Ice Swimmer is a great police procedural, with an added dash of political intrigue, shady goings-on at an international level but with a real, personal undercurrent. It’s a later book in the Oslo Detectives series, but could easily be read as a standalone. If you like your Noir of the Nordic variety (and hey, who doesn’t? ), this is an excellent addition to the genre. Highly recommended. 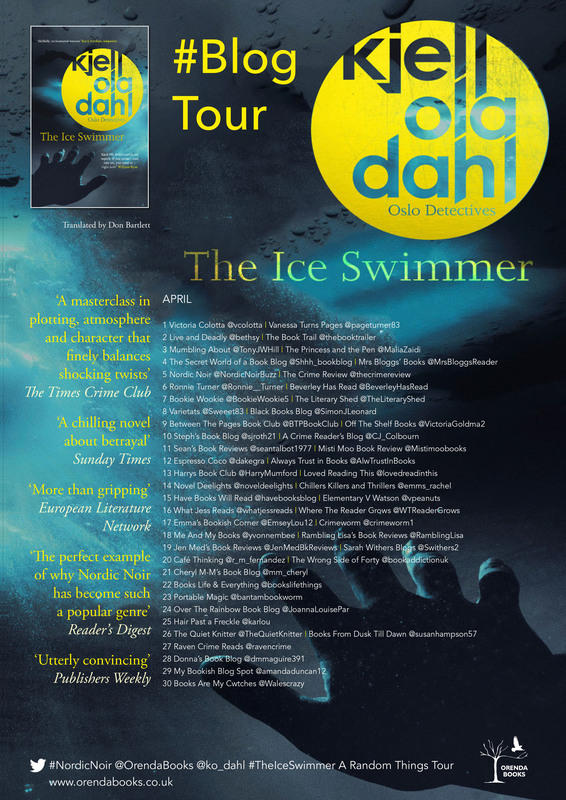 The Ice Swimmer by Kjell Ola Dahl is published by Orenda Books in April 2018. Many thanks to Karen @OrendaBooks for the review copy and @AnneCater for inviting me onto the blog tour.